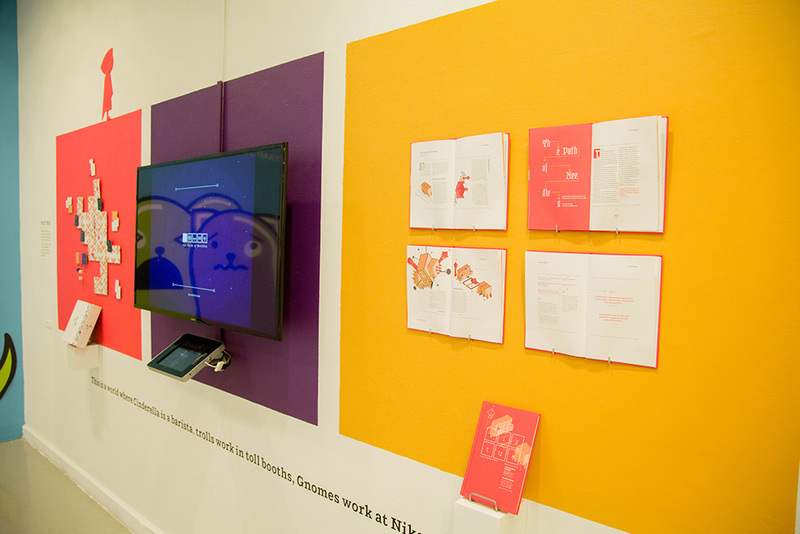 Paths is an examination of the overlap between design and storytelling, with an emphasis in transmedia explorations. 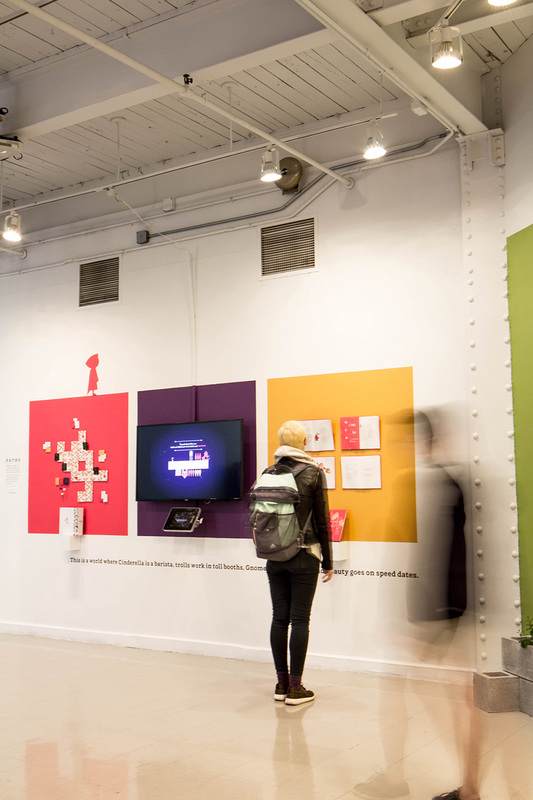 The story takes place in a world where our world and the world of fairy tales are merged together in an event known as “The Shift.” The exhibition focused on three projects developed as part of the transmedia exploration: a video game, a board game and a lifestyle magazine set in the story world. 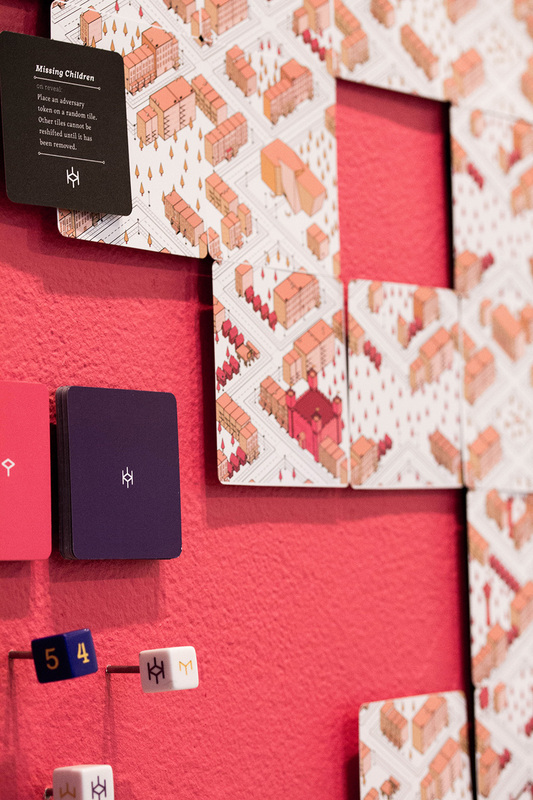 The Path of Pins is a board game developed as one component of the thesis. 2-4 players work together to mitigate the damage being done as our world and the world of fairytales are chaotically merged together. 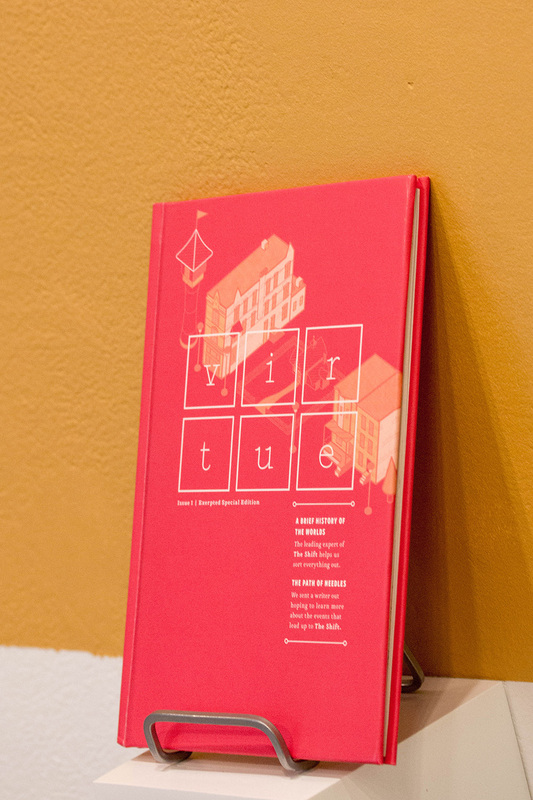 The Path of Virtue is an in-fiction lifestyle magazine set in the story world developed for this thesis project.